lengthy email chains and confusing spreadsheets. Save money on printing costs, organizational time on program preparation, and headaches on coordinating last-minute changes. 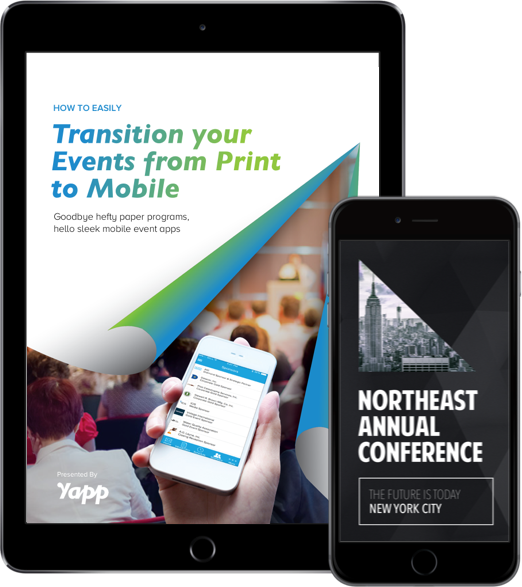 Finally, bring your events into the 21st century by switching your printed agendas, bio books or programs into easy-to-use mobile event apps that engage and delight your audience. This guide is for you if you are a marketer, association professional or event planner still using paper at events and care about “green” - whether saving money or the environment. Have you used an event app before?